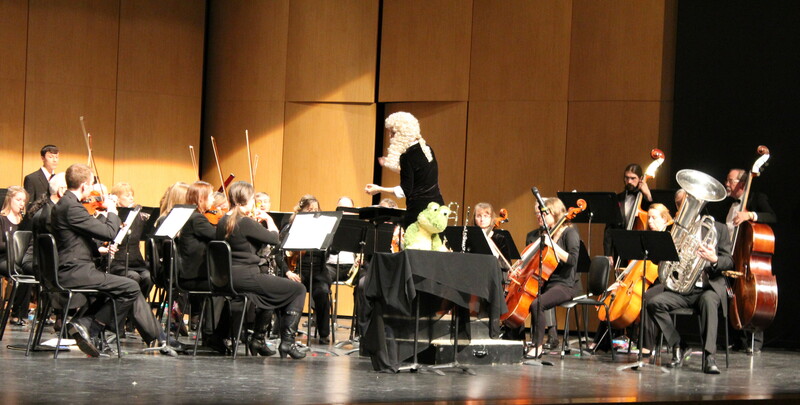 At 3:30 p.m. on Sunday afternoon, June 10th, the Fox Valley Philharmonic Orchestra joins with the Community Players of Naperville in presenting a most unusual collaborative concert for kids. 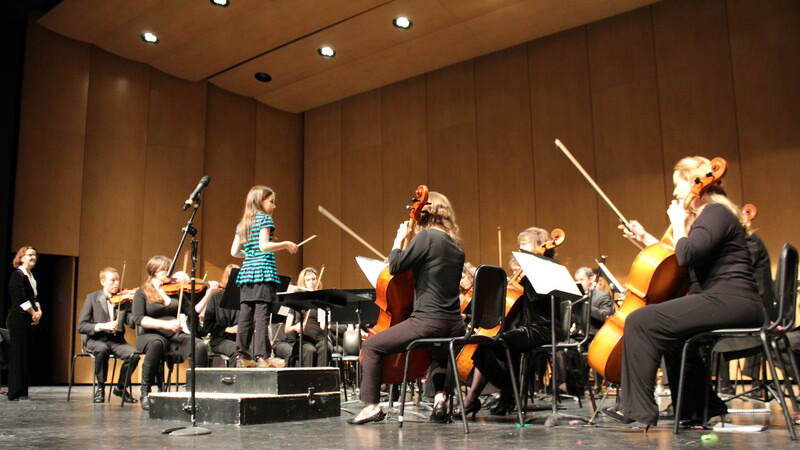 While many may be familiar with the plot in Prokofiev’s Peter and the Wolf, it’s likely that most don’t know there’s a sequel to the classic tale, Justin Locke’s clever courtroom drama for kids’ concerts, Peter versus the Wolf. This collaborative orchestral/theatrical production presents the entire Philharmonic Orchestra on stage performing Prokofiev’s original music while actors from the Community Players of Naperville portray the characters of: a judge, a district attorney, Peter, and of course – the wolf, who finds himself on trial for “Duckicide.” And the kids in the audience even get to be the jury that weighs in to determine the wolf’s guilt. 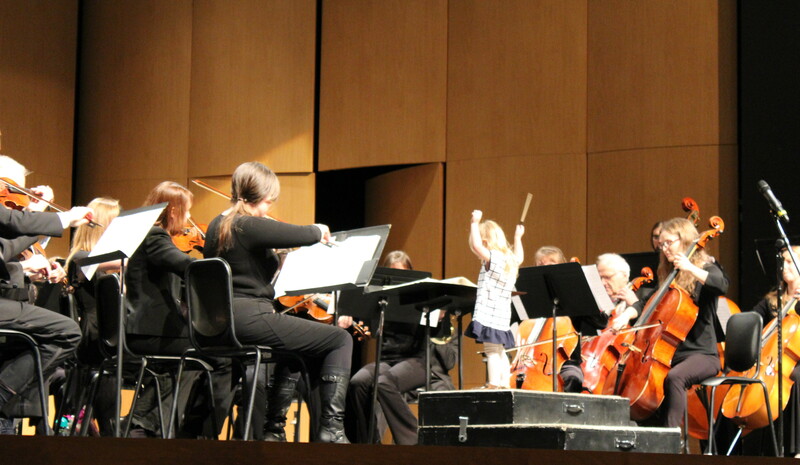 In the intermission following the performance, kids get to try their hand playing various orchestral instruments in the Philharmonic’s “Instrumental Petting Zoo.” After the intermission, those individuals who have added their name the signup sheet, will have an opportunity to line up and take turns being the “maestro” for the moment in “Kid’s Get to Conduct the Philharmonic.” While intended to be entertaining, it’s also educational without youngsters realizing they’re having a learning experience. In Prokofiev’s original Peter and the Wolf, a brave Russian boy – despite his grandfather’s warnings – saves two of his animal friends (a little bird and a cat) from the wolf that swallowed his other friend (a gentle duck), captures the wolf and carts him off to a zoo. In Justin Locke’s sequel, the wolf is captured after escaping from the zoo, finds himself on trial for the eating the duck. The story takes place in a courtroom trial setting, with the District Attorney utilizing the orchestra to play Prokofiev’s music to accompany her reading of an affidavit, that consists of Prokofiev’s narration, in an attempt to prove the wolf’s guilt. 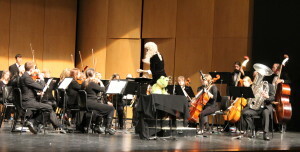 Comedic action and amusing dialogue follows when various sections and members of the orchestra are called to the witness stand to be cross-examined by the wolf as he tries to defend himself. In order to find out the outcome in the Peter vs. the Wolf trial, get to play various musical instruments, have an opportunity to ascend the podium to conduct the orchestra: one merely has to come to the family-friendly, FREE-ADMISSION “Fox Valley Philharmonic Eighth Annual Children’s Concert,” located at Our Savior Lutheran Church, 420 West Downer Place in Aurora. There is convenient parking available in the lot behind the church, accessible from Garfield Avenue.